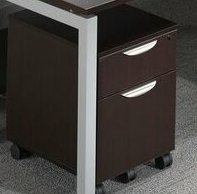 A Mobile BF Pedestal, with casters. Dimensions 15"x22"x22h. Comes in silver or white finish.